The Merrion Centre in Leeds Arena Quarter has announced it is further expanding its dynamic tenant portfolio by being chosen as the prime location for Rude Studio’s new flagship tattoo, piercing and body jewellery shop. 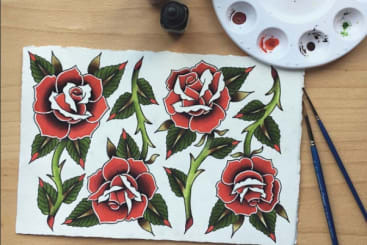 The new studio, due to open in May, will be the 3rd in Rude’s portfolio across Leeds and will offer custom tattooing, semi-permanent make-up, microblading, laser tattoo removal & body piercing by award winning celebrity artist Samantha Myers. It will also be home to an unrivaled range of services under one roof, making it the largest tattoo and piercing shop in the city and will boast the widest range of body jewellery in the north of England, complemented with their very own in-house goldsmith, Emily Rhoden. Samantha Myers, Owner of Rude Studio said: “As Rude Studio continues to expand, we’re extremely excited to be bringing our concept to the Merrion Centre; with strong footfall and enviable location close to the universities, it continues to be a great place to shop, eat, drink and socialise. Darren Brookes, Operations Manager for the Merrion Centre, said: “We’re very excited to welcome Rude Studio’s to the Arena Quarter, contributing further to the Merrion Centre’s existing eclectic mix of local, specialist and niche offerings. 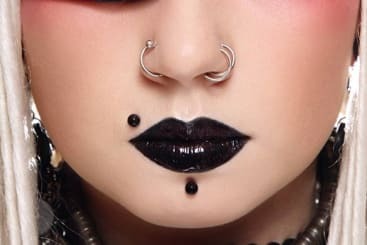 Rude Studio already have a brilliant reputation as a leading piercing studio in Leeds, and we are thrilled they have chosen the Merrion Centre as the location of their new store. There are many new and dynamic developments within the immediate vicinity, and as their brand continues to expand, we have no doubt that they will enjoy every success on the back of this as we welcome even more customers in 2019”.